A couple of weeks back I was told about this AMAZING event that the Wales Millennium Centre are holding – reviving an infamous Cardiff night spot for one night only: bringing back THE CASABLANCA! For one extraordinary night this November, we’re transforming the Donald Gordon stage into Butetown’s legendary Casablanca Club for a celebration of the rich musical heritage that made it famous around the world. From its beginnings as Butetown’s Bethel Chapel (where Ivor Novello was baptised) to its final closure and demolition, the Casablanca holds a special place in the hearts of Tiger Bay residents. Spanning 50 years of music, Night at the Casablanca will feature live performances from local artists in one unforgettable evening of soul, gospel, reggae, swing, jazz and everything in between. Night at the Casablanca is the Centre’s first official 10th Anniversary performance and one that celebrates the cultures, stories and sounds of our neighbourhood. The Casablanca Club. 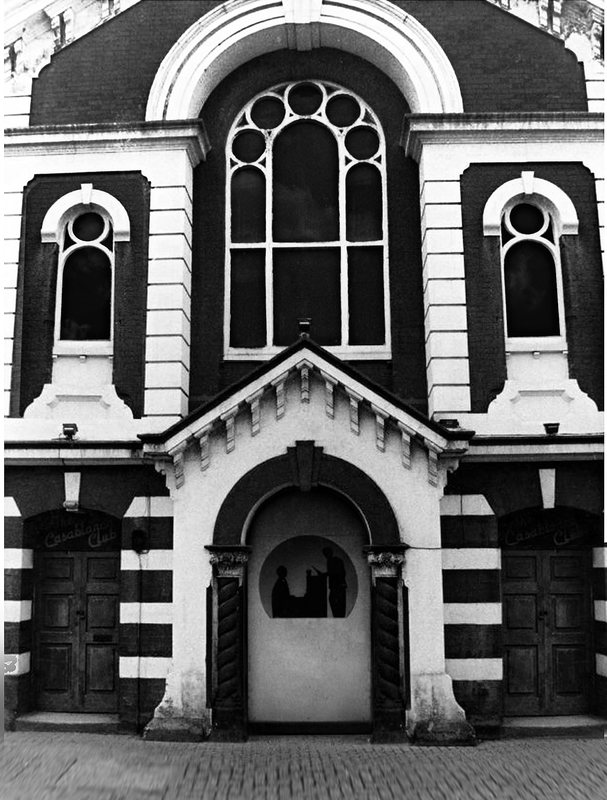 The club was previously the Bethel Chapel where Ivor Novello was baptised. Night at the Casablanca is the Centre’s first official 10th Anniversary performance and one that celebrates the cultures, stories and sounds of our neighbourhood. If you have a memory of the Casablanca, please share it with the team on Facebook orTwitter by using the hashtag #CasaB or by emailing us education@wmc.org.uk. We’ll see you down the front!